What To Expect When You Are Expecting…. Life is short….!! Don’t we all know that?! And I guess since a very young age, we all had dreams and things we wanted to do/be when we grow up. And here we are, all grown-ups, adults, moms and dads. Did we make our dreams come true? Not yet? Almost….? We also expected this adulthood to be fun. We expected life to be fair, and dreams to be reality. We expected to have the right parter and the right life. Didn’t we all? We each have different expectations in life, yet at some point we all cleverly meet them (or at least some of them). But how about our daily expectations? We expect the day to go smoothly, the work to be done brilliantly. We expect our calls and messages to be answered, our invitations to be accepted. We expect our partners to be appreciative, supportive and encouraging! We expect our parents and family to respect our privacy, our doctor to see us immediately, the queues not to be so long and the kids to behave as adults. Should I keep going …..?! Why do we expect so much? Why do we dangerously give ourselves hope? Were we raised this way? Did our parents expect us to be this way? Therefore we also expect our kids to do so? While being positive in life is a much wanted and needed quality, I am not so sure about expecting. Somehow when we “expect”, we don’t allow doubts to creep into our plans. We want something and we want it now! We expect things to go our way, yet when they don’t, we are not so happy about it. What if we hit the stop button? We clean the page of expectations? We simply don’t expect anything anymore! Can you imagine how simple and easy life will be then? We will never anticipate someone’s reaction anymore. We will not be disappointed or frustrated anymore. We will just get what we get. We have a choice everyday to be whoever and whatever we choose. If something bad happens, we can choose to dwell on it, or accept it and move forward; we can start again. You Think You Can’t Speak French..?? 23 words out the 56 making the above paragraph, are French! And you perfectly understood what I meant! A coincidence? Certainly not! It is estimated that 70% of the words used in the English language are the same or very similar to the French equivalent words!! Surprised? I was too, when I started learning English! As a French speaker -or should I say Francophone?- I always wondered why would a rich and complex language such as English, need to “borrow” words from another foreign one! And why French? Why not Italian, Spanish or any other Latin language? And does using French words somehow makes you more sophisticated and elegant? Thus the need to show off and humbly brag about your skills? Dear reader, if you think you will find an answer to the above questions, let me apologies to you in advance, because I have none! No matter how many times I checked with “Monsieur” Google, I still can’t figure out why! Why do we use French words in English?! I do tolerate words like : Chauffeur, valet or even ballet, however, I am certain words such as Chef-d’oeuvre or fin de siècle, can be traded for something more…English! I also understand such things happening in the 18th century, when rich French aristocrats were finding refuge in London; but now in the 21st century, it does seem a little absurd to me. I am very intrigued to know what grammarians think of this matter. Is it the lack of words? Or the urge to be better, and more “Chic”? Or is it simply a habit? Hey everyone! It’s Monday evening and I just finished cooking dinner, writing a blog post for my online course, making pancakes for tomorrow’s breakfast, sending few emails and texts…. Boy do I feel like a Super-Mama right now! Anyways while doing all that, it hit me that I never posted this month’s “Happy Reading” !! So after I switched off the lights, checked that the doors are locked, put my phone on the charger, here I am taking it back again and about to do what I love : Write about books! 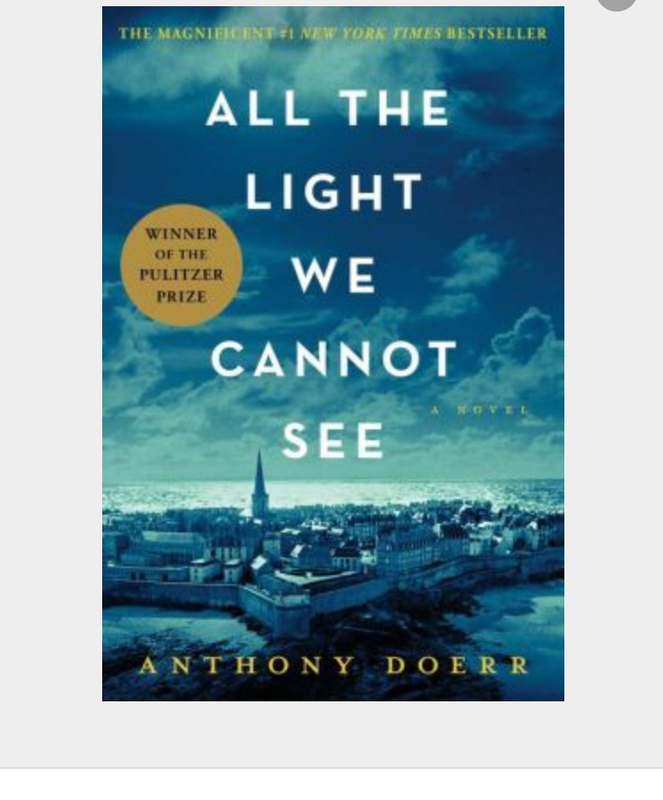 – All The Light We Cannot See by Anthony Doerr. A friend of mine suggested this book, but the length of it kept on discouraging me. And when I finally dived in I couldn’t put it down. The book is brimming with rich details that fill all five senses. It is beautifully written with beautiful metaphors that paint gorgeous images! 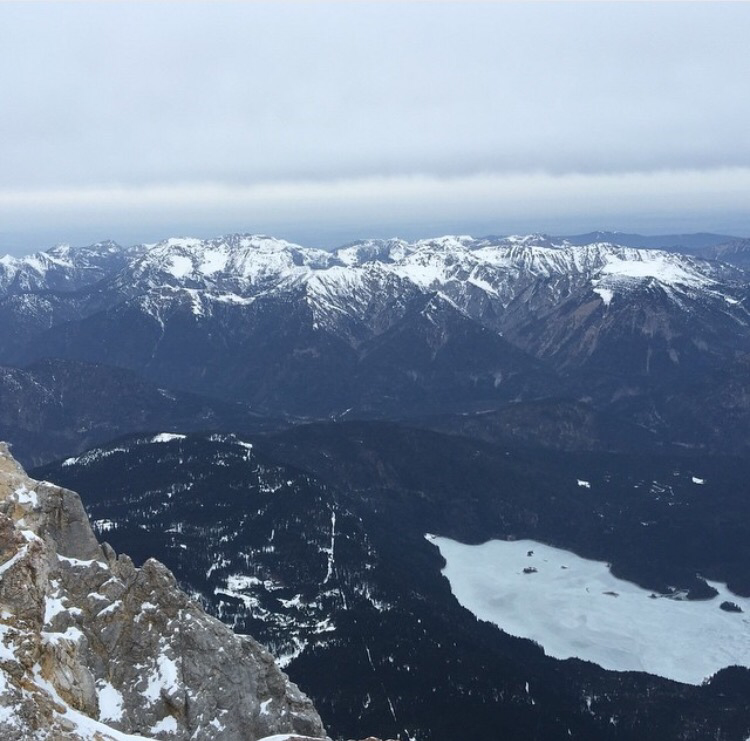 A wonderful story about destiny, life and hardships! – The Four Agreements by Miguel Ruiz. A motivating book, on positivity and simplicity. Four steps to live simpler! I liked it and started following these agreements already! – No Drama Discipline by Daniel J. Siegel. This book was recommended to me by a friend. As you may know I LOVE parenting books, and I usually read one every month. The book is a great reminder of what’s important and offers excellent advices. However, I thought it was a little too long which only complicated a simple strategy. I still have a huge list of books to tackle, but if you have a good book in mind, do share it with a friend (me) !! 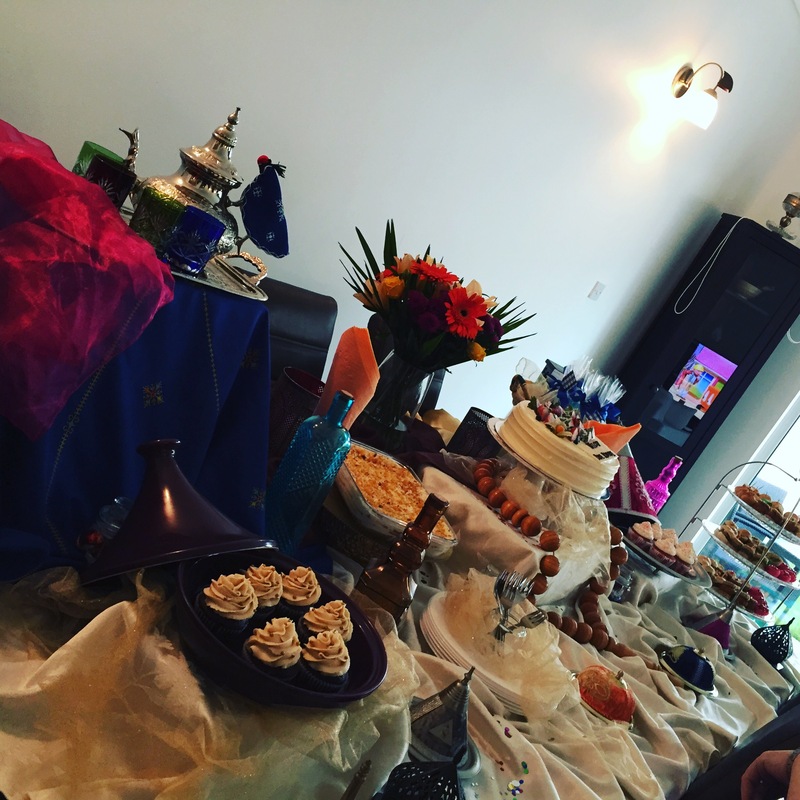 Thank God It’s Friday: How To Throw A Moroccan Theme Baby Shower! Today’s post is a little different than the usual “Thank God It’s Friday”. It is still related to food, however, the focus will be more on the set up, than the food itself! Last week I threw a baby shower for my dear friend Maria. Since I am a proud Moroccan, and I am perfectly aware of the richness of my country’s culture and cuisine, as well as the curious blend of sights, sounds and smells! 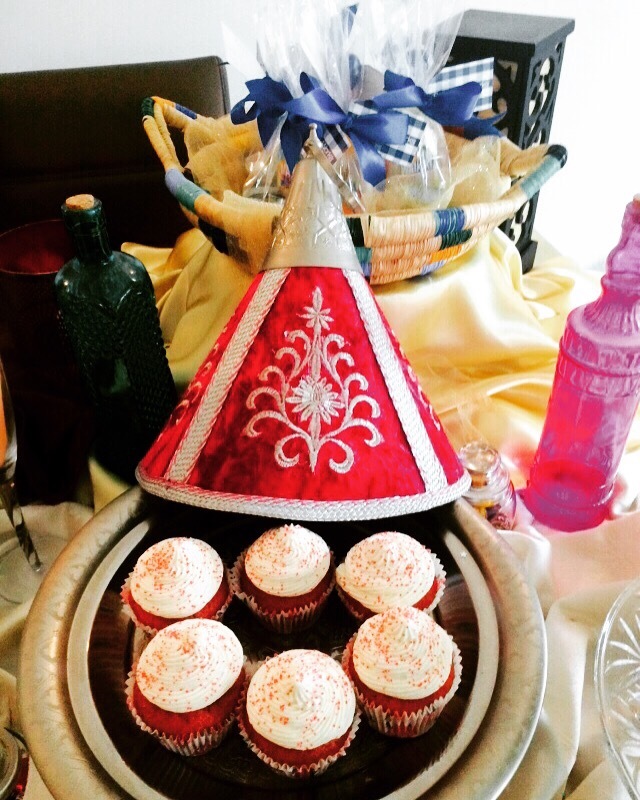 I decided to go with what I know best, a Moroccan theme! 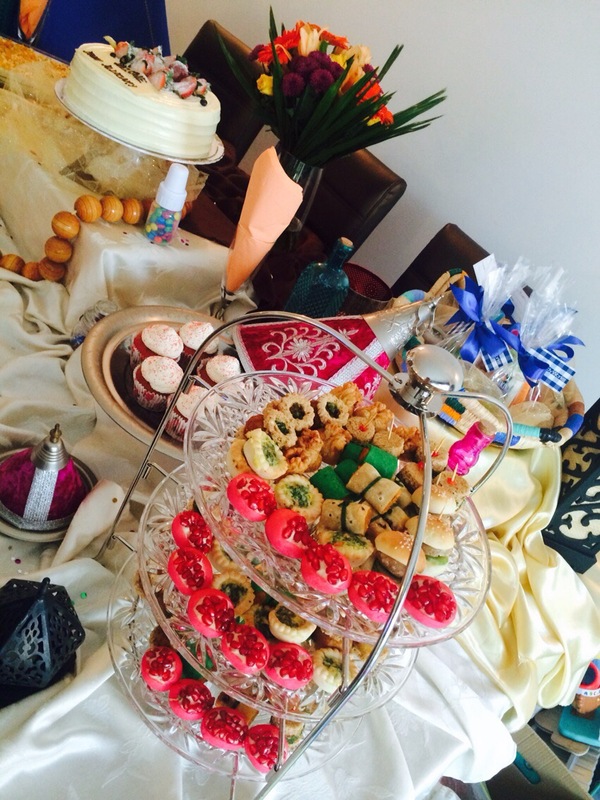 I will be sharing with you few tips that really helped making my baby shower a success! Contrary to what you might see on similar articles about “How to throw a party”, I will skip the part where they tell you to first come up with a guest list, or even better : “plan your menu ahead”, which is just rediculous! I mean …… For the love of god who doesn’t know these things? Yeah so I will skip this step and go directly to what I think is more important! 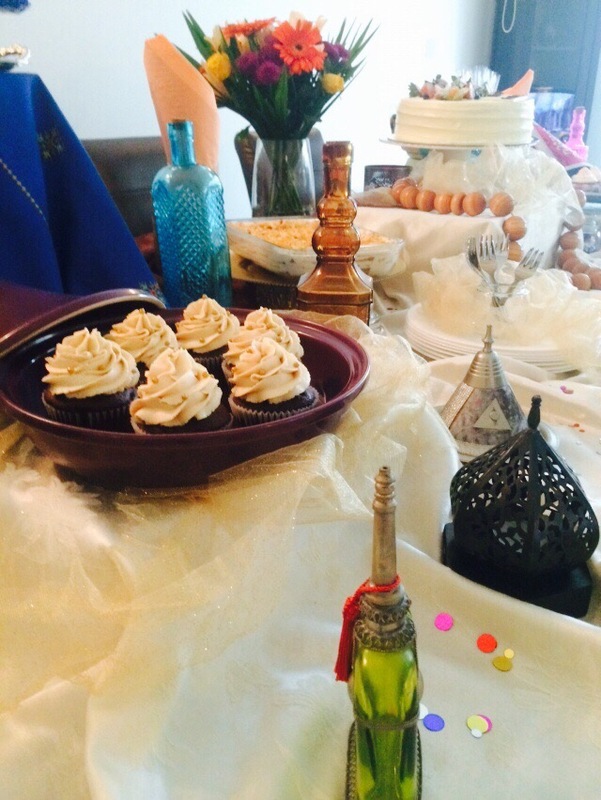 First of all, choosing a theme for your party is the most important step of all! 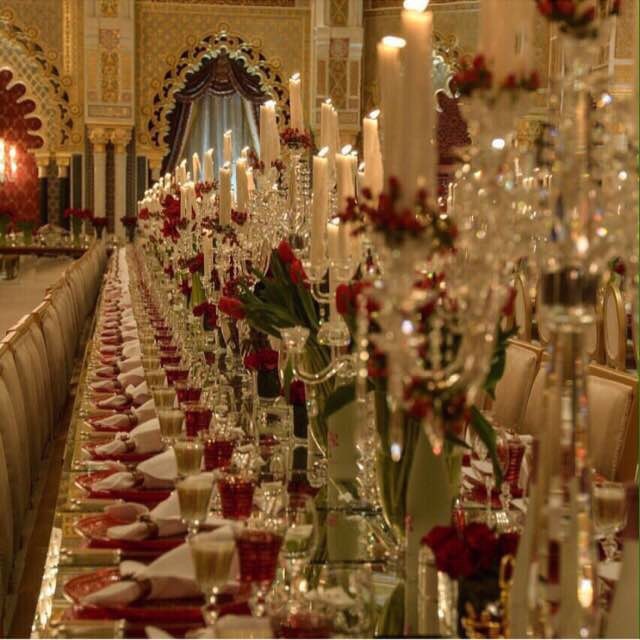 Wether it is Moroccan or Victorian, once you decide on that, you will then only have to execute! – Consider your table a piece of art, visualise how you want it to look before you even start! – Play with the levels of height. Save all the shoe boxes you have, and all the small tables, because you will place them on your table before you place the tablecloth. – Colours!!! Bring all the colourful fabrics, tablecloths, cushions, ribbons and even curtains! Place some of them randomly on your table. Ideally you need one over each small table or shoe box! – Use your assets! 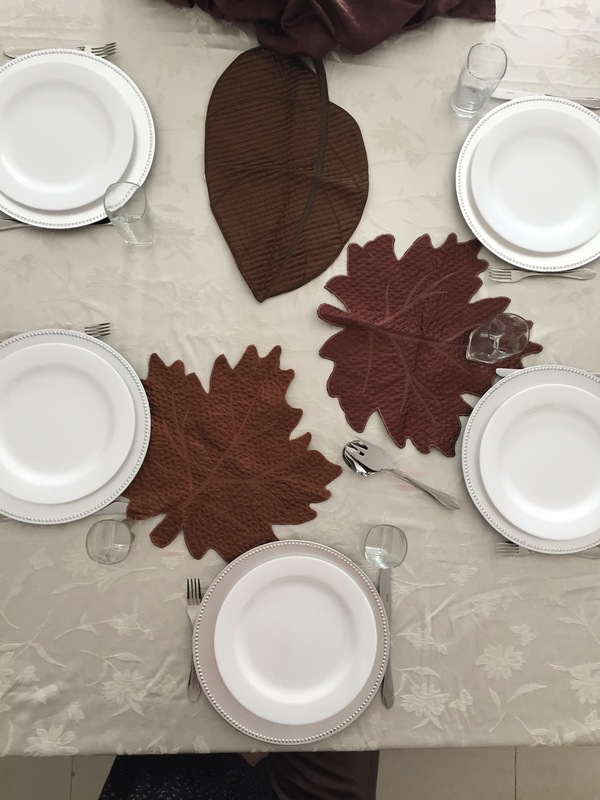 Have a walk around your home and see what can look pretty on your table. You have a pearl necklace? Put it in a transparent glass and boom!!!! You’ve got a beautiful item on your table. You have a lantern? Use it! A Persian rug? Place it under the table. Some colourful bangles? Use them for your napkins!! Let your imagination go wild and you will not regret it! – Flowers! Flowers are a must! Wether you put them in a vase or you use rose petals, they will completely transform your table! 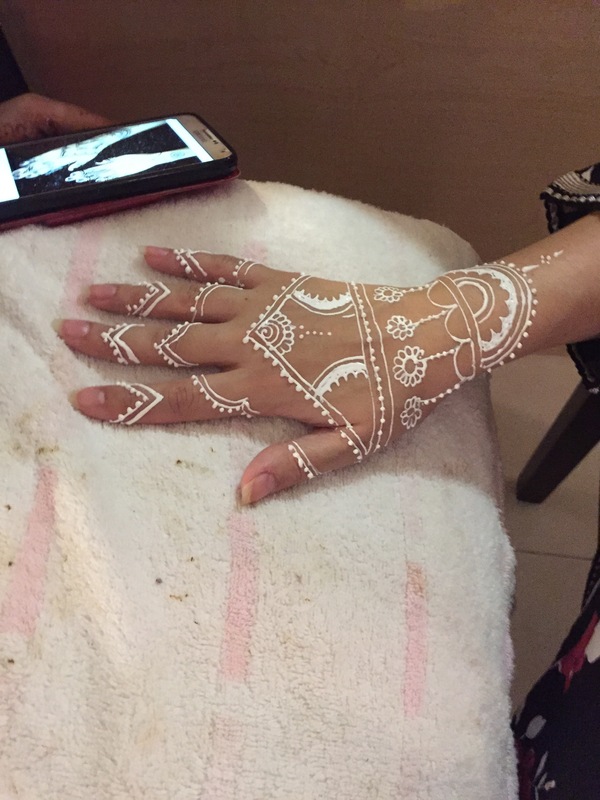 – Add a personal touch: I thought I should have a special lady to put some beautiful Henna designs on our hands! And I did just that! It was a hit and my guests loved it! – Music! There is no party without music! 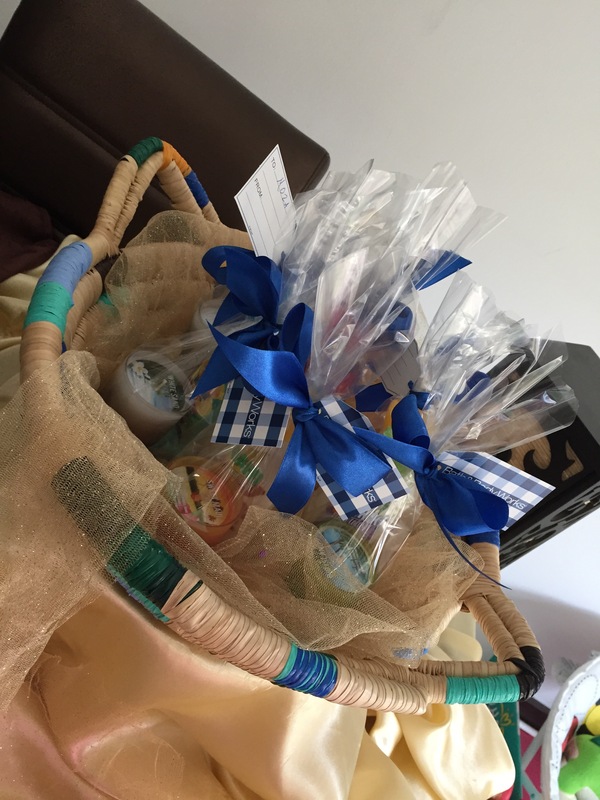 – Give aways: this is a sweet gesture to thank your guests for coming! 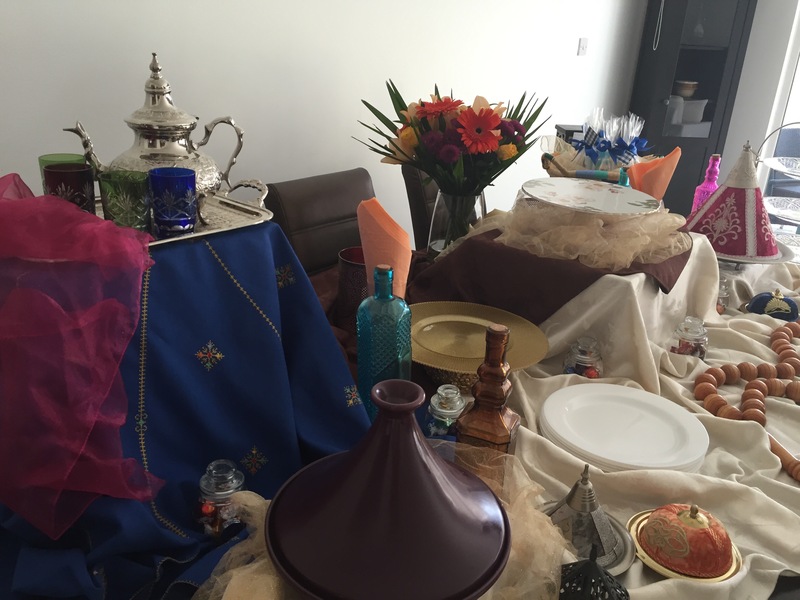 This is a simple yet fantastic and inexpensive way to take your guests in a trip to Morocco! It is so much fun and definitely a party that will not be forgotten!! 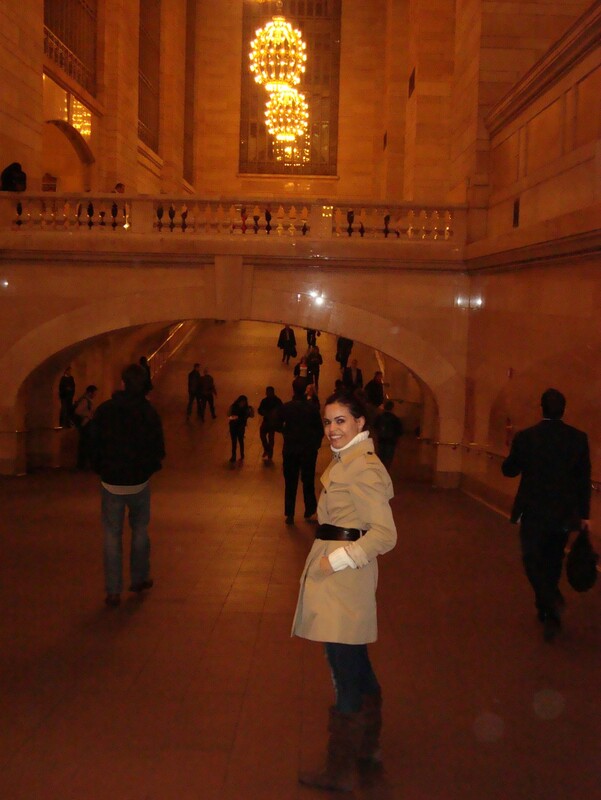 What’s On Her Mind: In-Laws…..
Hello my dear friends! And welcome to yet another exciting and beautiful story from another amazing Mama. A very brave one! Who taccled a very sensitive topic today! I leave you with Miss.H’s words of wisdom!! 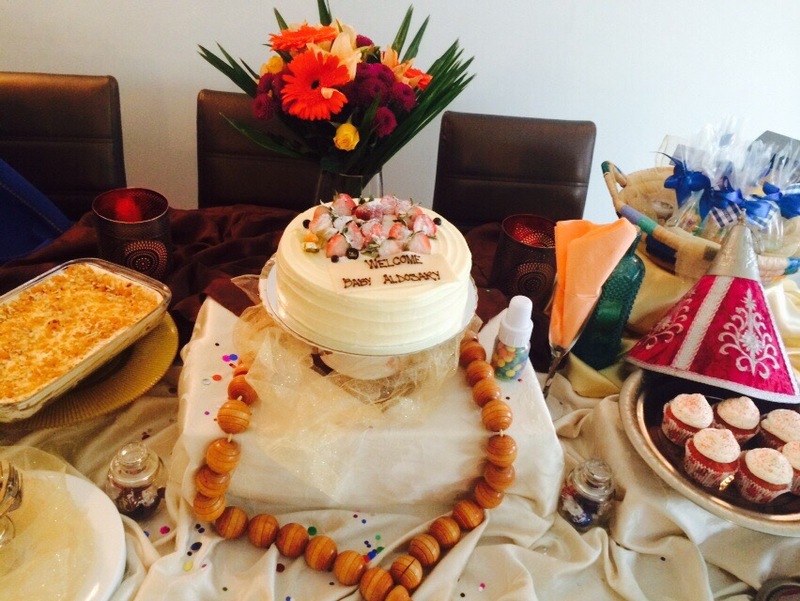 When you get married -in our arabic society- it also means that you married the In-laws! A blessing? Yeah sure …. Sometimes! A curse? Probably… When you are under the same roof. Living with your family in law is absolutely no piece of cake, they can be the kindest and sweetest people, yet at the same time always scrutinising and criticising every move you make. 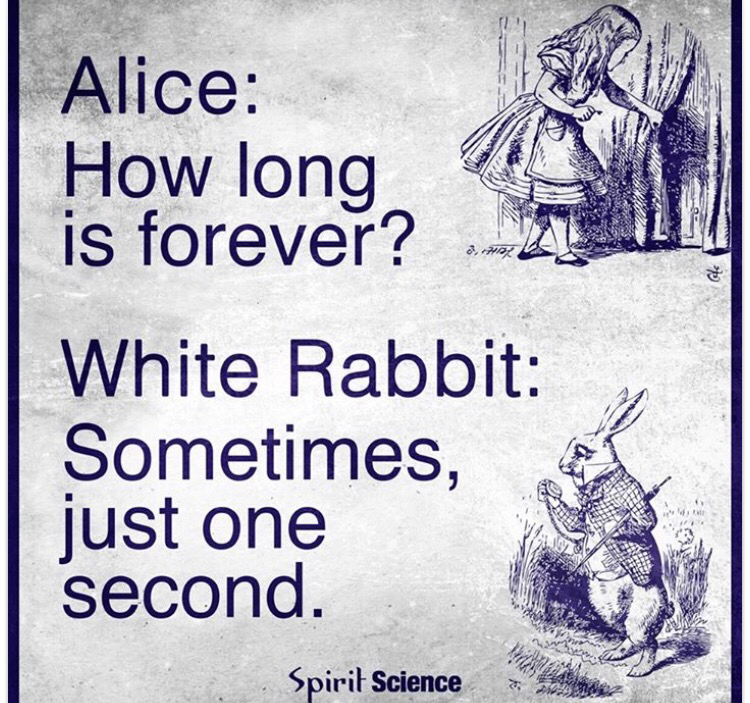 Somehow you need to become the Queen of wonderland! Otherwise you just won’t make it! In the first few months, sure you will be shy and blush at every comment; however after five years -24/7- under the same roof, things are not cute anymore, and get a bit ugly for the silliest reasons! It is difficult, but you have to let go, for the sake of a peaceful life. I am not saying that you shouldn’t love them! Once you are married to their son, you need to embrace them, and take them as your own! But you need to have your own routine! You need to be the one in charge of raising your children! You need your privacy with your husband away from intruders! From my personal experience, the more space you keep between you and your in laws, the better it is for everyone! They will respect and love you more. Sometimes I really feel blessed to have them around, especially when I am sick and my husband is traveling. Or when they throw a huge birthday party for my kids, and invite over 300 member of the family just to celebrate it. Yet some other times, I just want to be alone, be lazy in my pyjamas the whole day without even brushing my hair, and I sure deserve to have similar days! Well i think it is both, a blessing and a curse at the same time. You will just have to balance the feelings, have a positive attitude, and mostly be yourself ….. The loving wife, the caring mother and the sweet daughter in law. My in laws define me as a sweet and sour girl, and they couldn’t say it any better!